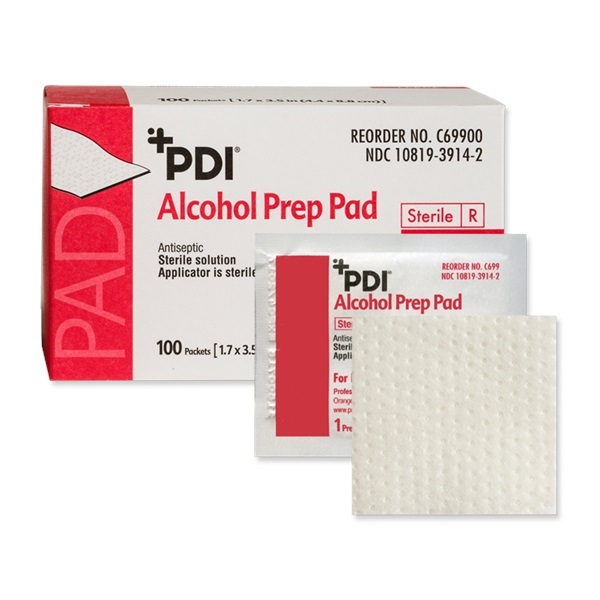 PDI large, sterile, non woven alcohol prep pads saturated with 70% Isopropyl Alcohol in individual packets. Comes in a box of 100. 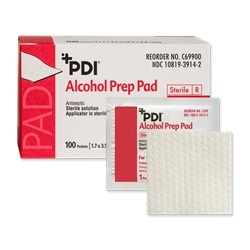 Manufactured by Professional Disposables. Measures 1.7" x 3.5".